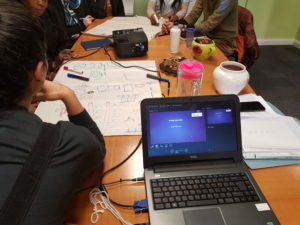 Following the successful collaboration with Hibiscus Initiatives Community Resettlement Project in 2016, Law for Life designed a public legal education programme to support their service users. Many of the women who seek support from this project are unaware of their legal rights and feel disempowered by the criminal justice system. Our programme’s aim was to build confidence, skills and knowledge and improve legal capability and access to justice for this vulnerable group. It was delivered from January to April 2018 in four consecutive training sessions. We also delivered two workshops in HMP Peterborough. The training sessions covered some of the basic legal concepts such as: the distinction between civil and criminal law, civil/criminal courts structure and important skills needed to deal with law-related problems. In addition, we addressed more specific issues which were relevant for this client group, such as roles of immigration solicitors and barristers, what is covered by legal aid in immigration cases, and gathering documents to build your own case. The programme was funded by the Matrix Causes Fund. In total, 80 individuals benefited from this programme of whom 100% are from BME background (Black African, Black Caribbean, Asian, Mixed background, Eastern European) and 100% are not in employment due to immigration restrictions, disability or ill health. All participants have multiple vulnerabilities (including mental health, disability, low income, long-term unemployment) and are at high risk of destitution, exploitation and hardship. 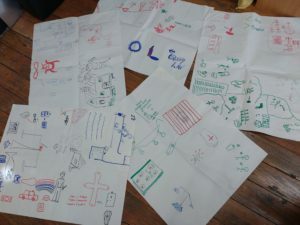 The sessions also had positive impact on our participants’ emotional wellbeing and self- esteem. For instance, participants who attended more than one session were contributing more as their confidence increased after each session. We also noticed other unexpected outcomes, such as improved English and digital literacy.